Washington (AFP) - An ultra-violent Latino street gang that President Donald Trump has vowed to wipe out beheaded a man and cut out his heart before burying him in a park near the US capital, reports said Wednesday. The victim, who has not yet been identified, was stabbed more than 100 times in Wheaton, Maryland just outside Washington DC, according to a statement by the Montgomery County Police Department. Authorities have so far arrested Miguel Angel Lopez-Abrego, 19, on first-degree murder. Charging documents obtained by Montgomery Community Media and WBALTV11 added the victim was decapitated and had his heart removed from his chest, in an attack planned for weeks and involving up to 10 people. 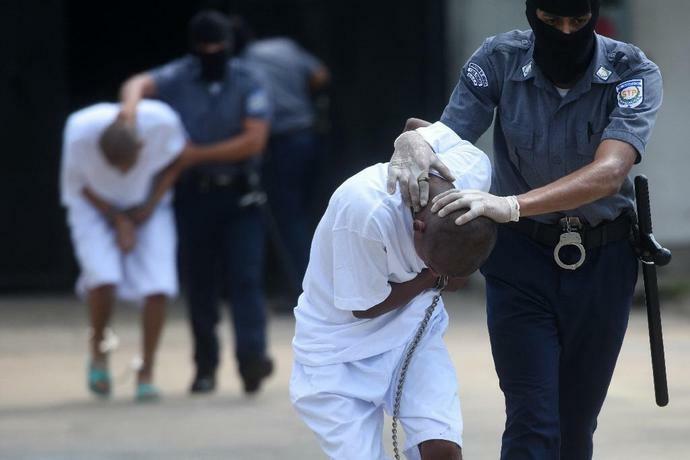 Mara Salvatrucha, or MS-13, is estimated to have 10,000 members in the United States. The gang works as an umbrella grouping of units known in Spanish as "clicas," some of which are larger and more violent than others. It has become a focus of Trump's crackdown on crime, which he claims has surged as a result of borders easily crossed by gang members. Most members trace their heritage to El Salvador, Honduras or Guatemala, and among the members there are as many immigrants as there are US citizens. Many were born in the United States. Authorities last week announced they had netted 214 members of the gang in a month-long nationwide sweep. More than half of those picked up in the action which was led by the Immigration and Customs Enforcement agency, were arrested on immigration violations. But 93 were dealt federal criminal charges including murder, robbery, drugs and racketeering.